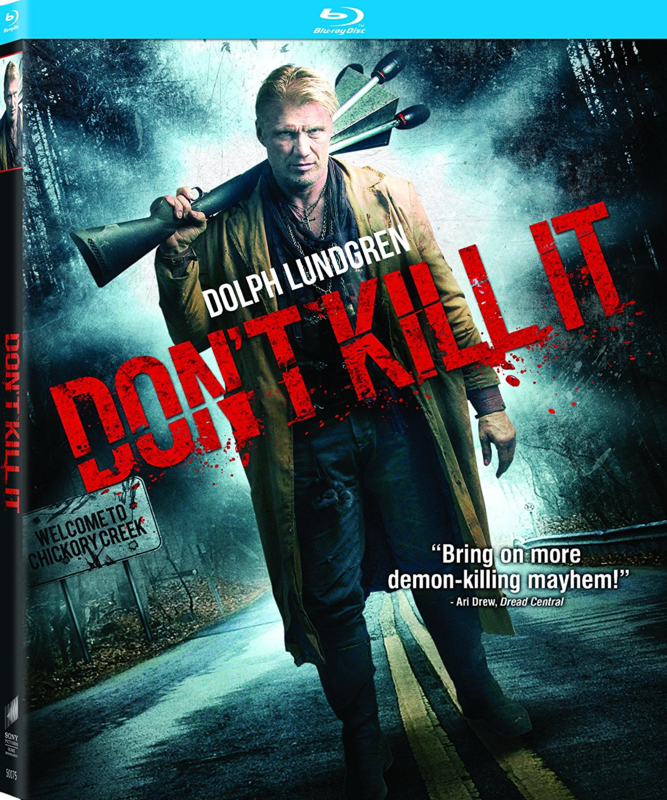 THE B-MOVIE NEWS VAULT: Dolph Lundgren Hunts Demons in DON'T KILL IT! Now available on Blu-ray and DVD! Dolph Lundgren Hunts Demons in DON'T KILL IT! Now available on Blu-ray and DVD! WATCH DOLPH LUNDGREN HUNT A BODY-HOPPING DEMON IN MIKE MENDEZ' "DON'T KILL IT!" I posted about this film a while back and I'm happy to report that it is now available on DVD and Blu-ray! I'm looking forward to watching DON'T KILL IT at some point, and think it would definitely make a great double feature with 1998's similarly-themed Dolph Lundgren vehicle, THE MINION (aka KNIGHT OF THE APOCALYPSE). Synopsis: An ancient evil is unleashed in a small Mississippi town leaving a trail of death and destruction as it passes from host to host. The only hope of survival lies with a grizzled demon hunter (Dolph Lundgren) who has faced this terror before. Together with a reluctant FBI agent he has to figure out how to destroy a demon with the ability to possess its killer. DON'T KILL IT is sadly a bare bones disc, but comes relatively cheap (between $13 - $16). It is currently available wherever discs are sold, including AMAZON, BULLMOOSE, and DIABOLIK DVD! Scope out the trailer below before you buy it!